REPORT: Giving a voice to silenced women. We now have a batch of high quality PRINTED copies of this report available to order. Make an appointment with your MP and hand it to them in person. Or post to an official with a covering notes telling them why this is important. 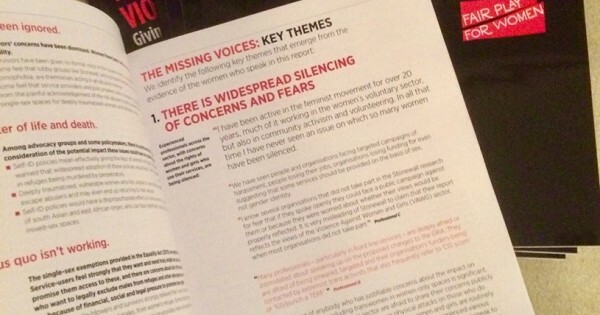 Give a copy to someone you … Continue reading REPORT: Giving a voice to silenced women.